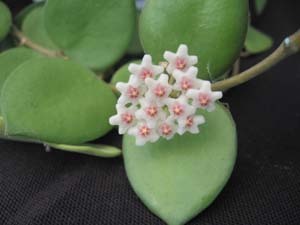 Hoya nummularioides is an easy to grow plant that I would recommend to beginners. 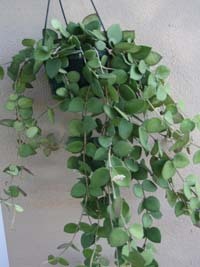 It has small, flat, round, succulent leaves and makes a really nice, full hanging basket plant. 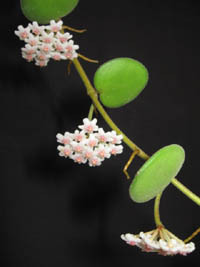 Unlike a lot of hoyas that have round clusters resembling a perfect ball shape, it blooms as a flat cluster with 20 or less flowers per umbel. The corona is pure white and the corolla is pink with yellow center and white tips. 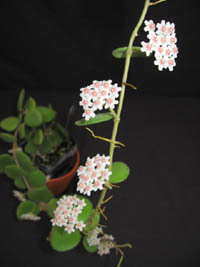 The flowers are on the small side, but they are super fragrant. 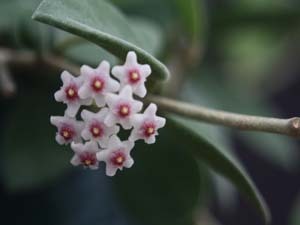 This is one of the most fragrant hoyas out there and the fragrance is wonderful. 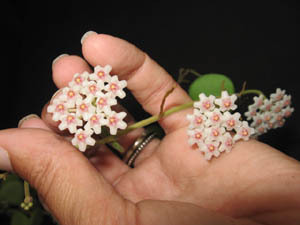 This hoya is a fall bloomer and you can see many clusters on your plant at a time. 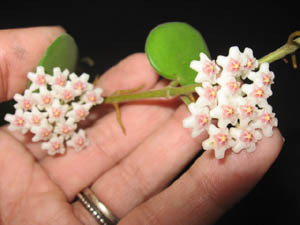 This hoya is native to Cambodia. 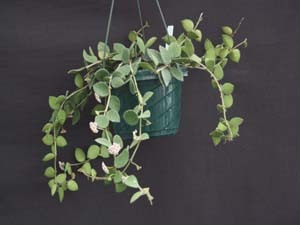 We grow our hoyas outside in filtered light, keep soils slightly dry and protect from cold temperatures. All pictures are for reference purposes only. Click to check price and availability.